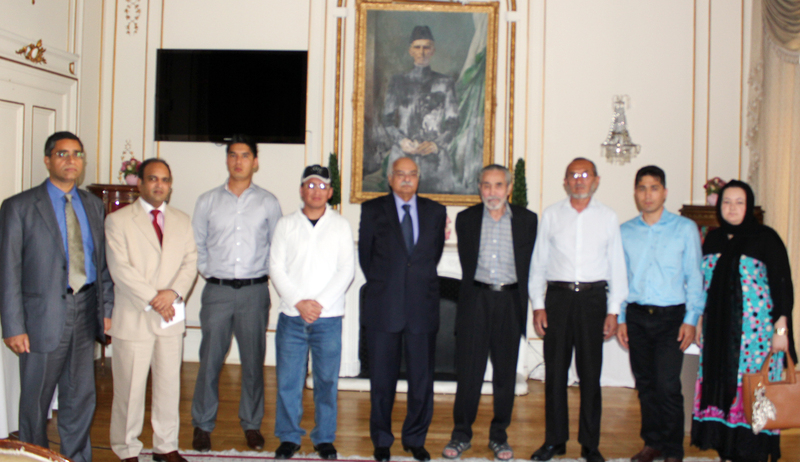 A delegation of Hazara Diaspora meets with the Pakistani High Commissioner in London. A seven member delegation of Hazara Diaspora Led by the Chairman, Hazara International Forum of Great Britain and the Chairman, Hazara United Movement (HUM), United Kingdom were called on the Pakistani High Commissioner for the United Kingdom, Mr. Wajid Shams-ul-Hasan on 25-07-2003 in the Pakistani High Commission, Lowndes Road, London. The meeting started at 15:00 hours local time which continued for over an hour, focusing on the reservations and concerns of the delegation about the ongoing genocide of Hazaras in Pakistan. 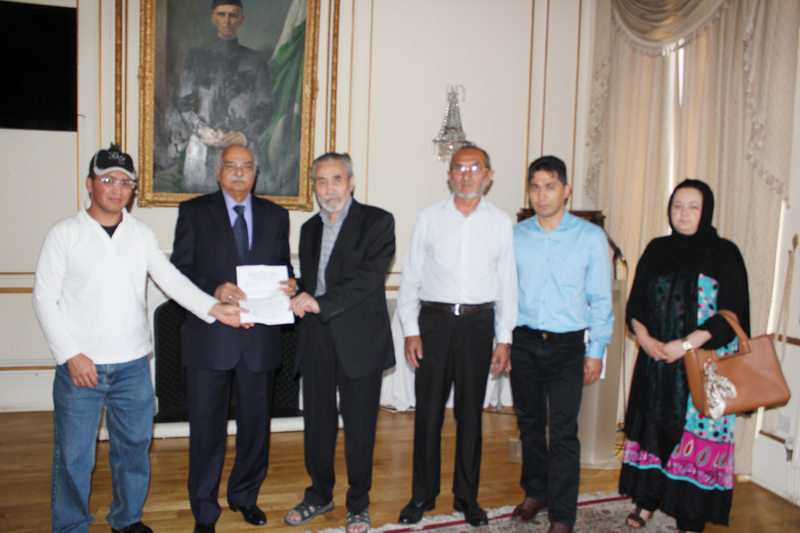 Pakistani High Commissioner being presented with the Petition. (i) That the federal government must provide all support to the Balochistan’s provincial government and exert meaningful pressure for an immediate and complete operation against the hideouts of Lashker-e-Jhangvi in Quetta and Balochistan. (ii) That fast-track special courts be established to penalize the religious extremists and terrorists. (iii) That the government must track the elements of intelligence agencies and security personnel having links with the terrorists and take immediate action against them. (iv) That the foreign and domestic financiers of the terrorists and religious extremists be tracked down and prosecuted immediately. (v) That a family member of the affectees/victims of these incidents of the last 14 years be provided government job as per his/her academic credentials and qualifications. The High Commission’s sources also promised to arrange a meeting of the delegates with the Prime Minister of Pakistan during his next visit to the United Kingdom. Urdu news coverage of the meeting published on the Jang Newspaper (27-07-2013). Posted in United Kingdom (General) and tagged Agha Marzooq Ali, Genocide of Hazaras, Hazara Killings, Meeting with the Pakistani High Commissioner. Bookmark the permalink. The targeted killings of four innocent Hazaras on Masjid Road Quetta exemplifies that the federal and provincial governments are not doing enough to provide foolproof security to the masses. 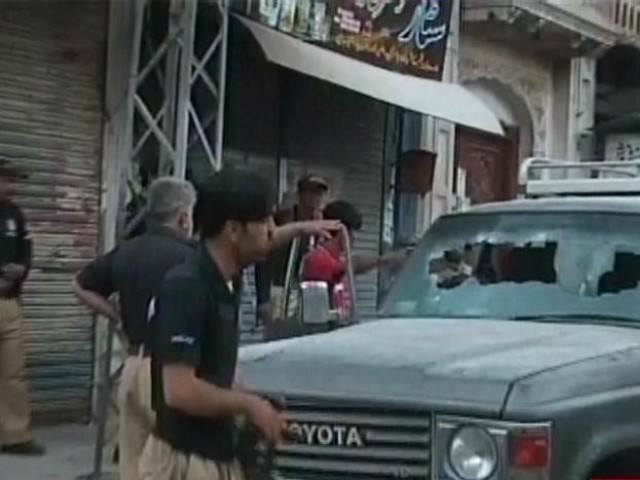 Despite claims of tight security, check posts and deployment of security personnel in Quetta city, this is the second major attack on Hazaras in the last two weeks. Over 10 days ago, Jannat Ali Hazara – a mid cadre government employee – was abducted from the premises of Balochistan Civil Secretariat in broad-day light who has not been traced as yet while today’s targeted killings have deepened the wounds of the Hazaras. The DIG Police has confirmed the number of assailants (4) while talking to the media but failed to show interest in apprehending the culprits. The law enforcement departments and intelligence agencies require immediate overhaul to curb the menace of extremism and ethno-religious attacks on minorities.